I remember thinking that being a designer sounded GREAT. I’d get to create beautiful things for the Internet, and use up all my creative juices on typography pairings, color schemes, and giving websites that certain je ne sais quois. At the same time, though, I worried I wouldn’t have what it takes to be a web designer. With no history in graphic design, or any design training at all, I wondered who would ever trust me with the aesthetics of their site. But as I learned HTML and CSS, met more designers and developers, and started working on my own freelance websites, I realized that I had it all wrong. It’s not that you don’t have to make a choice between web design and development. Really, the issue is that my idea of the differences between web design and web development were pretty wide of the mark. This is the blog post I wish I could have read when I first dipped my toe in the technical waters. Learning to be a developer is harder than learning to be a designer (or the other way around). 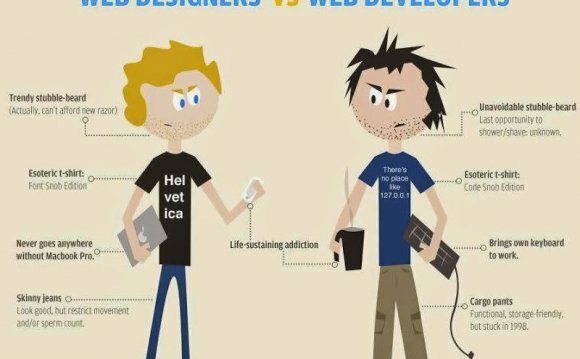 What Is A Web Designer, A Web Developer and A Web Partner?